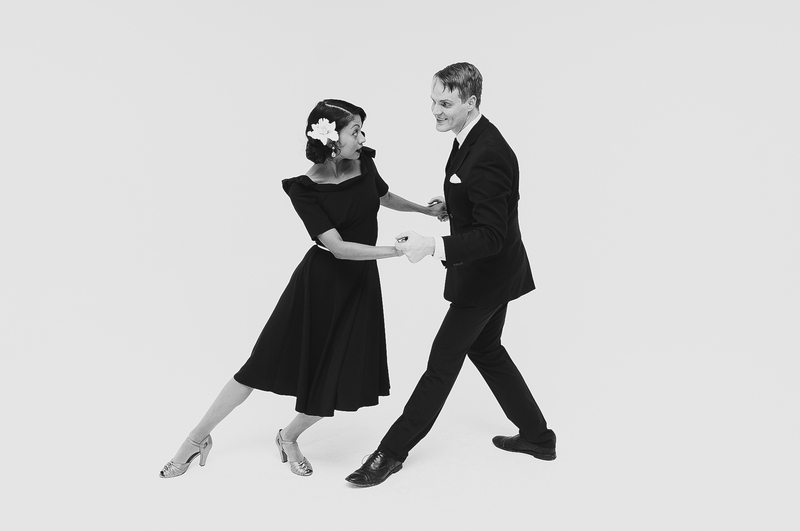 Robin Nunnally has two decades of experience in the world of swing and vintage vernacular jazz dances. 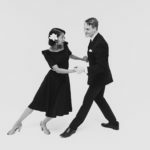 Over her many years of dancing, she has dabbled in (and intensely studied) a number of styles and dances from the Ragtime era of the 1910s, to the more classic sock hop style of the 1950s, and everything in between. 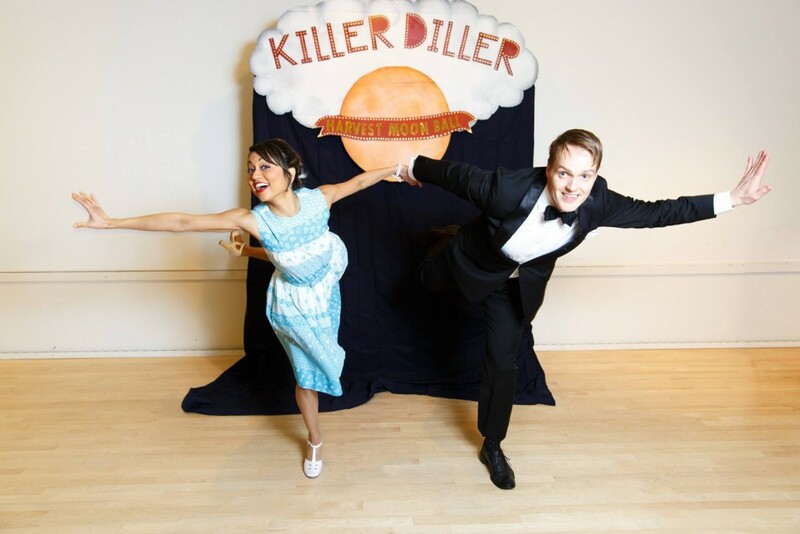 Robin has been a team member and choreographer on a number of well-known dance teams, including the Rain City Rugcutters,Jackson Street Lindy Hoppers, and the Sister Kate chorus girl team, of which she was a founding and longtime member. 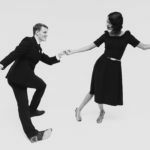 Most recently, Robin spent a year and a half living and teaching swing dance full time in Calgary, Alberta, Canada, where she lovingly built up an incredible and welcoming swing dance scene. While in Canada, she was most proud of the progress her students made in their dancing, and of her chorus girl team she established and directed, The Sugar Sweets. 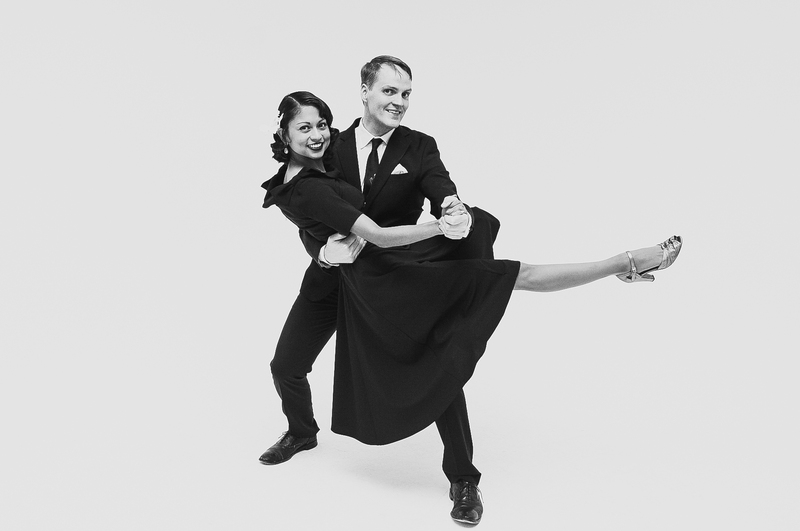 While in Canada, Robin also was an event manager for The Calgary Swing-a-thon, a 24-hour swing dance marathon which raised over $16,000 for the Alberta Cancer Foundation. She is known for her passionate teaching, love and support of her students, and her drive to always create and better herself as a dancer and as a scene leader. 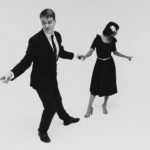 Her current projects in the Seattle swing dance scene include running her twice-a-month dance, Balboa, Blues & Booze, under the organizational group, The Hot Rhythm Club. She is also the co-director (along with Casey Schneider) of the Sister Kate Dance Company, a 20+ all female vintage solo jazz dance troupe. 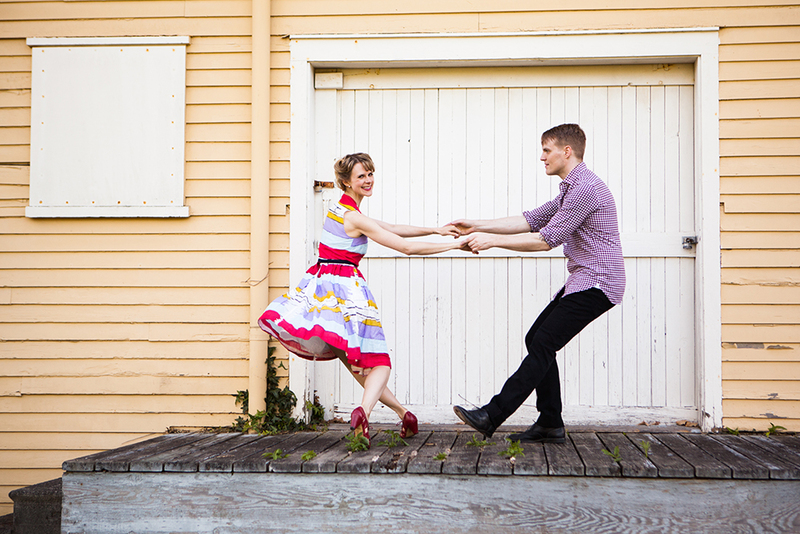 When not busy with “all the things” in dancing, you can find her thrift store hunting for antiques, hitting up a local happy hour with friends, and in general, just loving life and the beautiful city of Seattle she gets to call home. 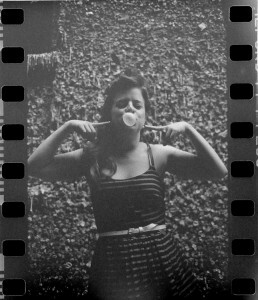 Born in Colombia, Swing Dynamite co-founder Natalia grew up partner dancing at family parties. After a successful run as a competitive cheerleader, she moved to Ottawa, where she co-founded Swing Dynamite. 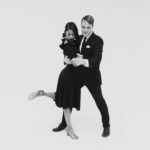 She’s led swing teams to competitive success since 2007, and is often teaches and judges contests at national swing dance events. 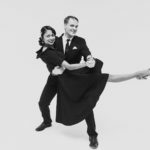 Natalia holds many 1st place titles in Lindy Hop, West Coast Swing, Balboa, Blues and Solo Blues and has also studied Collegiate Shag, African dances, Tango, Belly Dance and Ballet. 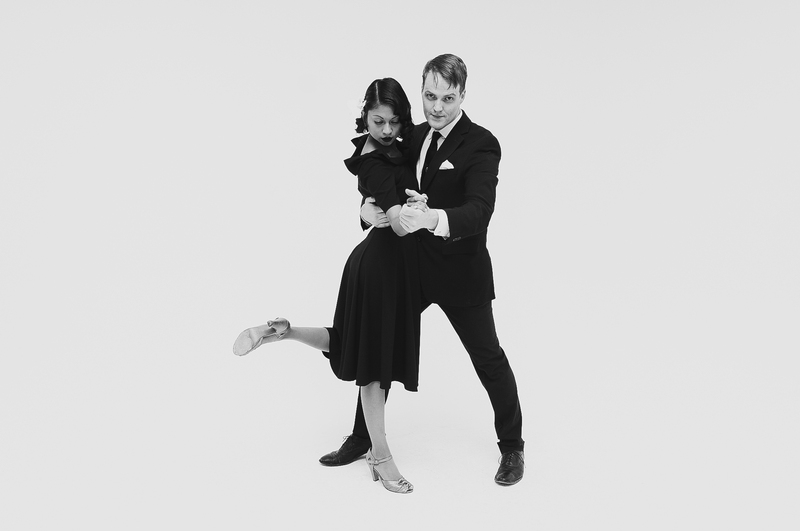 Sasha and I work together on a number of local projects, including Dancing at Dusk, Swingtime Clubhouse and Rain City Rhythm. We’ve also taught together in Mexico City and a number of other local gigs. 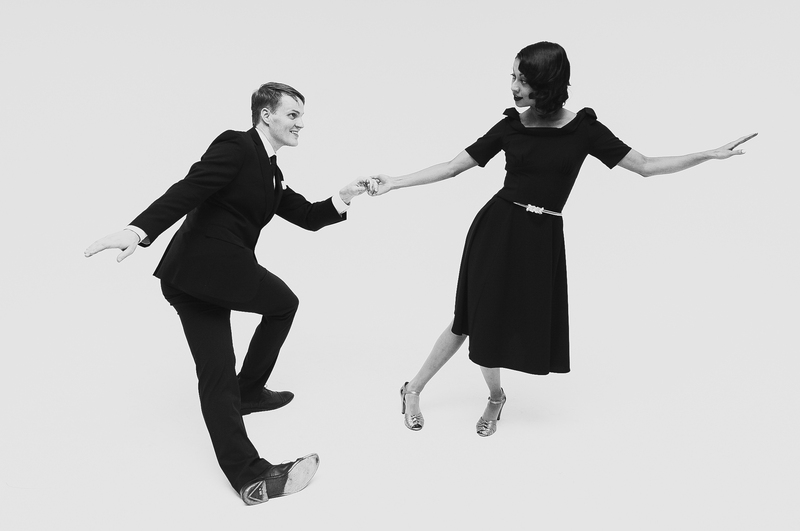 Sasha Anderson is a teacher, competitor, and choreographer specializing in lindy hop, balboa, and solo jazz movement. Since 2012, she has been a dancer and choreographer for Sister Kate Dance Company, the nation’s first and longest-running chorus girl troupe. She strives to produce playful and inventive movement, and believes in growing the artform through thoughtful attention to the original dancers. 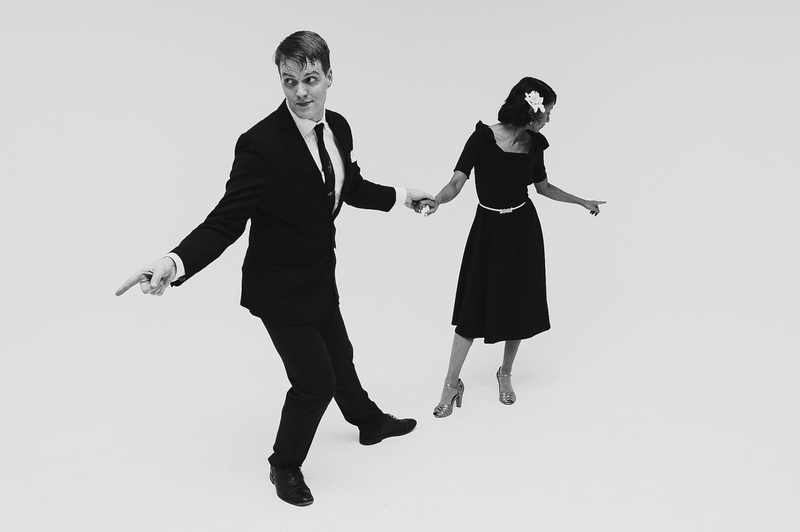 Sasha has placed in international competitions, including International Lindy Hop Championships, Camp Jitterbug, and Montreal Swing Riot.